South Africa is one of the top wildlife destinations in the world. From the incredible diversity of large species in Kruger (including the Big 5), to the arid Kalahari Desert, to a rich coastline brimming with creatures, South Africa has something to offer every type of wildlife traveler. The great number of national parks and private game reserves assure that you will see wildlife galore on your next South African trip. South Africa has a great many of national parks and private game reserves. Here are three parks (plus a few other favorite areas) that we consider the best wildlife watching destinations in South Africa. 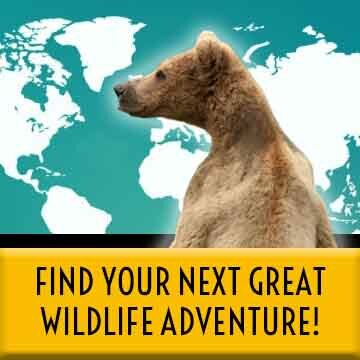 We have chosen them based on our own experience and on the incredible diversity of watchable wildlife found within each. Kruger National Park is the main wildlife destination in South Africa. 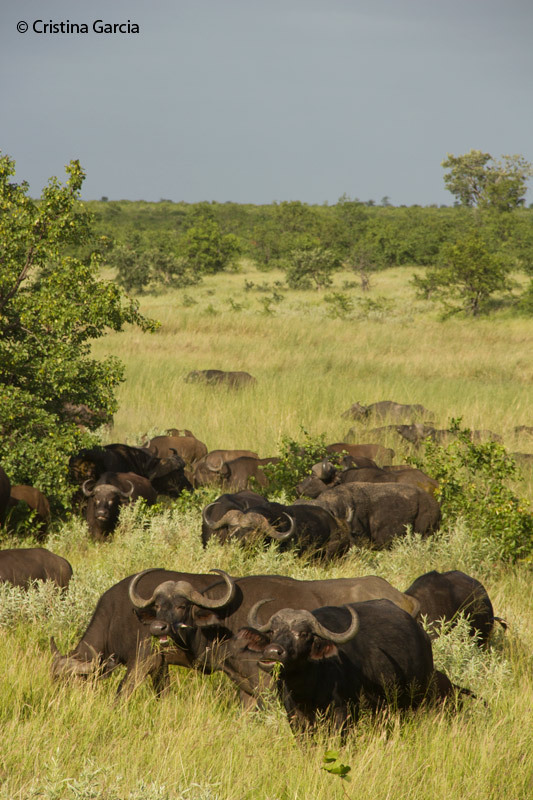 With a wide range of habitats from savannah to forest to rocky outcrops, Kruger supports the greatest diversity of large mammal species anywhere in Southern Africa. 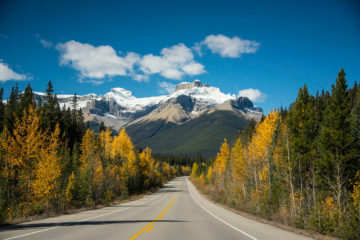 It is also home to 500 species of birds. Kruger is one of the most accessible parks in the country and it is the ideal destination in South Africa for your first African Safari. Its massive size (as large as the state of New Jersey) and top notch facilities guarantee that you will have an amazing visit and see nearly every one of your dream African animals. There’s an array of lodging available in the park. 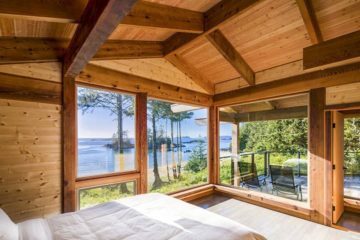 From camping to bungalows to luxury lodges, there’s an option for every budget. Wherever you decide to stay, you’ll always have incredible wildlife adventures in Kruger. Red sand dunes, dry riverbeds, desert flowers and lots of predators. Nestled in the corner between Namibia and Botswana, the arid Kgalagadi Transfrontier Park is a predator haven. The park spans the South Africa/Botswana border and occupies the southern reaches of the mighty Kalahari Desert, which technically is a semi-desert. 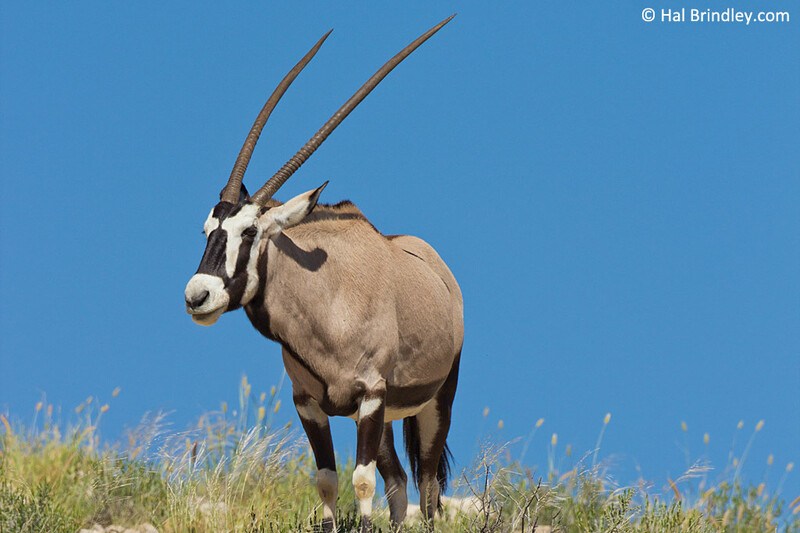 During the day, herds of springbok and gemsbok graze in the dry riverbeds while lions, hyenas and leopards sleep away the heat. 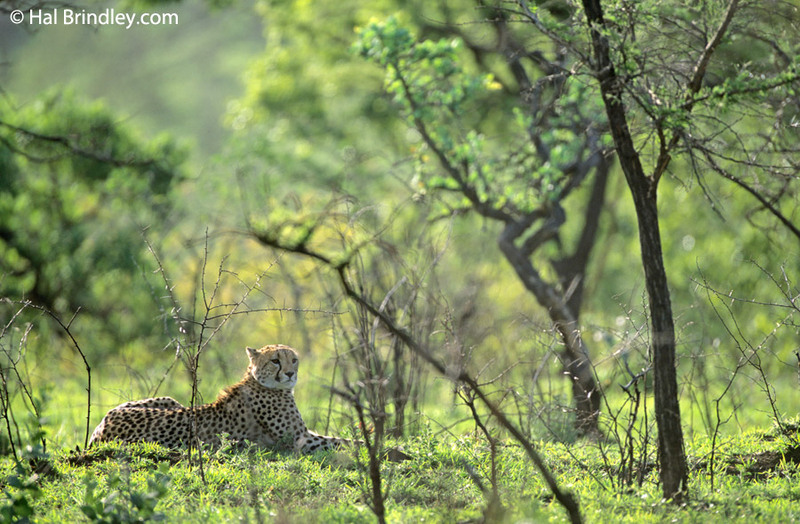 Cheetahs stalk their prey while birds of prey are on the lookout for a meal. Mobs of mongooses, meerkats and ground squirrels forage busily. At night, the tables turn and predators become active. Normally-shy predators like the African Wild Cat and Bat-Eared Foxes are readily seen on night drives. The general lack of vegetation makes for excellent wildlife viewing and makes the Kgalagadi a wildlife photographer’s dream. Located within the rolling hills of Kwazulu Natal, Hluhluwe-Imfolozi Game Reserve is the oldest park in Africa. Famous for the work done on rhino conservation, it is home to the largest population of white rhinos in the world. The park is also home to the endangered African Painted Dog and to the big 5. At night, you might see Africa’s largest rodent, the Cape Porcupine around the camps. 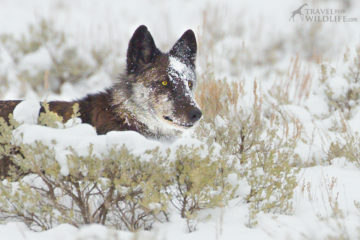 The best time to visit for wildlife watching is in the winter, from June to October. During the summer, vegetation is overgrown which makes viewing difficult but it is also the season when herbivores drop their young. Bird Island, in Lambert’s Bay is a bird watcher’s paradise. 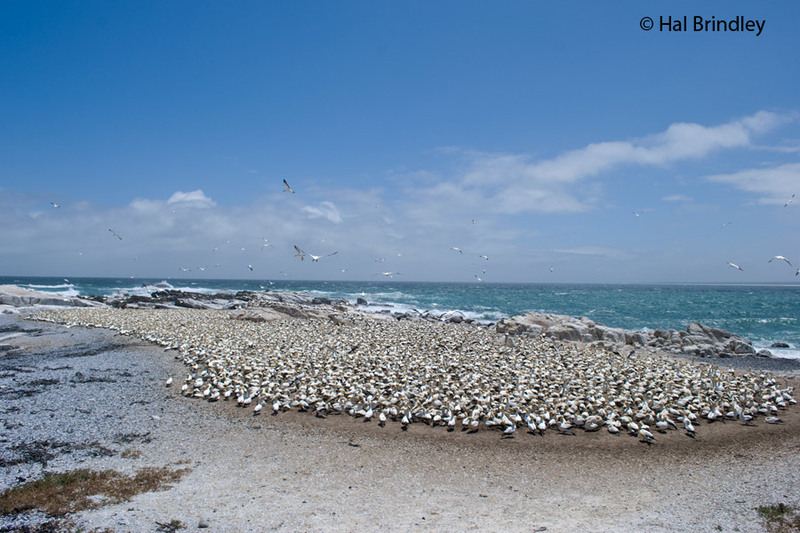 Around 5000 pairs of Cape Gannets breed here between October and December. 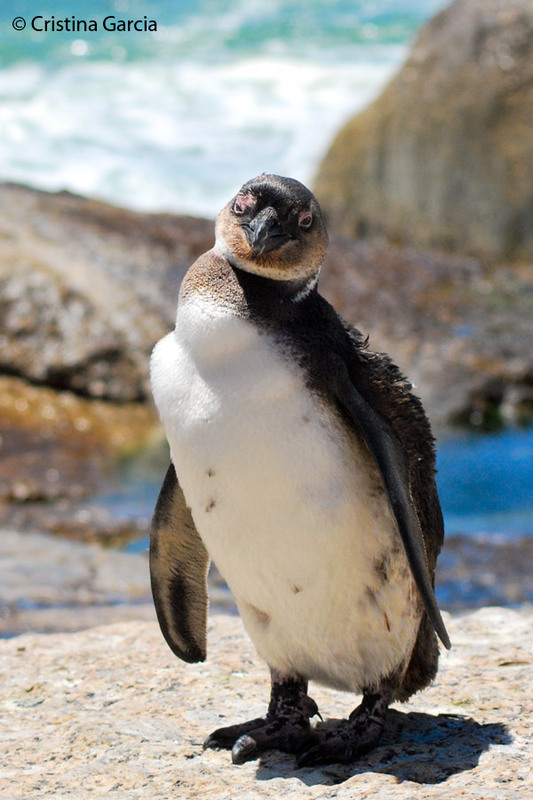 Other residents include Cape Fur Seals, African Penguins and four species of cormorant. If you are looking for some wetland habitat, iSimangaliso Wetland Park, a World Heritage Site, has you covered. With eight interlinking ecosystems, the diversity of wildlife is exceptional. From Rhinos to Samango Monkeys, Nile Crocodiles to Sunis, corals to African Fish Eagles, iSimangaliso is a jewel. With 300 mammal species, over 800 of bird species and almost 100 species of reptiles, choosing the top five animals in South Africa is very challenging. 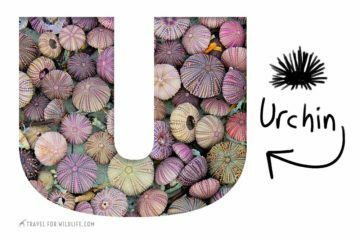 Here is the list of South African animals that made it to our top five. Lions are the number one animal to see for many people visiting South Africa. With less than 30,000 lions living in the wild, it is surprisingly easy to spot one of these magnificent animals. 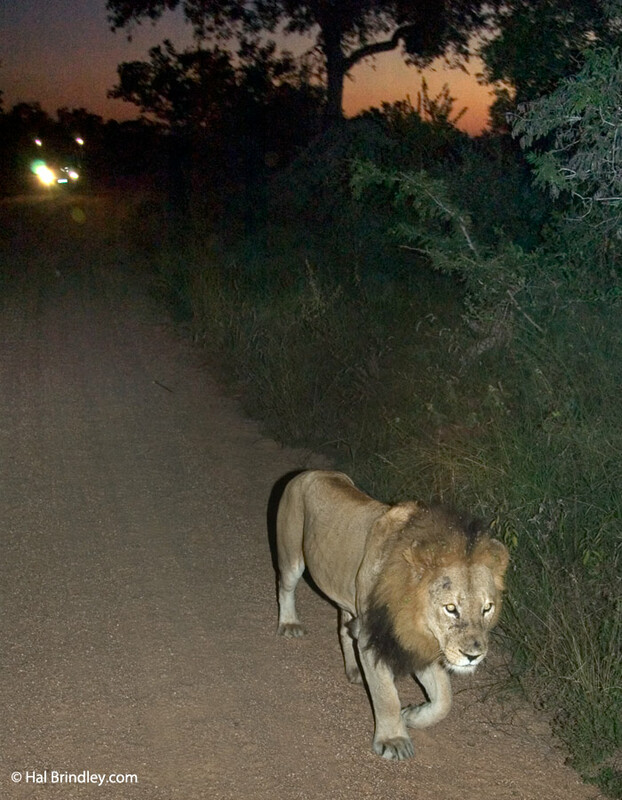 Your best chance of observing lions in action is on a night drive. You are almost guaranteed to see a lion if you go to Kruger or any of the other big parks in South Africa such as Pilanesberg. If you want to see the black-maned lion of the Kalahari, you must head to the Kgalagadi Transfontier Park. These physically impressive animals are normally found laying around on the dry riverbed of the Nossob and the Auob rivers. It is at night though where they start to become active. Your best bet is to take a night drive (book at the park campsites), when you can view all the nocturnal African wildlife come to life. Belonging to the mongoose family, Meerkats are desert-dwelling animals that live in colonies. They spend their days socializing and foraging for grubs, scorpions, lizards, snakes and other small mammals and insects. 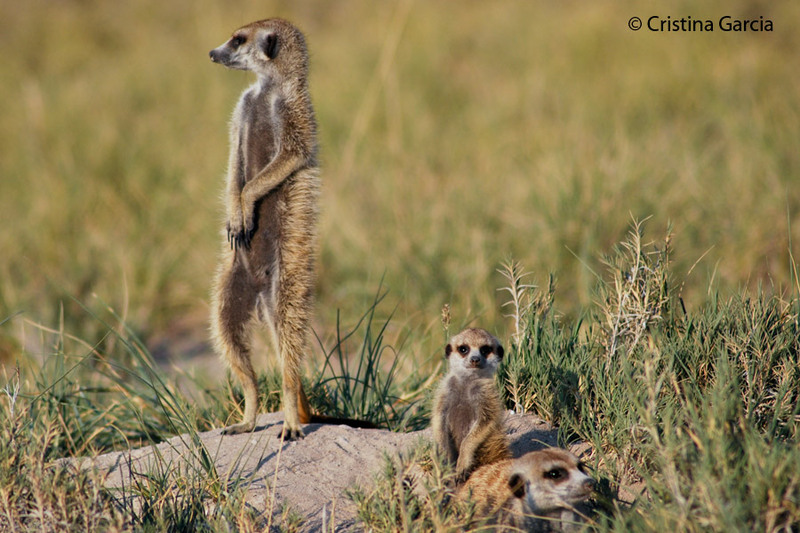 While foraging, one or more meerkats act as sentinel, looking out for predators like birds of prey or jackals. To see meerkats you need to head out to the Kgalagadi TP where it is virtually guaranteed that you will see a gang or two. Stay with them for a while to ensure you see a wide range of behaviors. Meerkats are always busy; if you are lucky you’ll witness interactions with other species, like snakes. 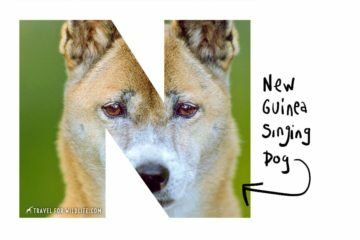 They sometimes share their burrow with ground squirrels or yellow mongooses, so look out for those too. The Southern Right Whale can be distinguished from other whales by the presence of callosities on their heads and the lack of a dorsal fin on their backs. To see this amazing wildlife spectacle head out to Plettenberg Bay and Walker Bay in the south coast. 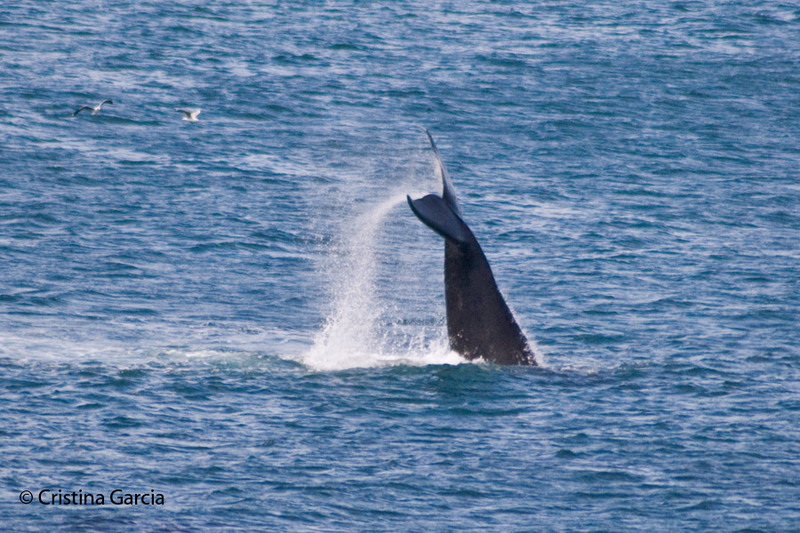 Between June and November a large number of southern right whales arrive to the Bay to court, mate and give birth. The cliffs in downtown Hermanus are an excellent place for shore-based whale watching. The Leopard is a very versatile cat occupying all kinds of habitats from rainforest to desert. 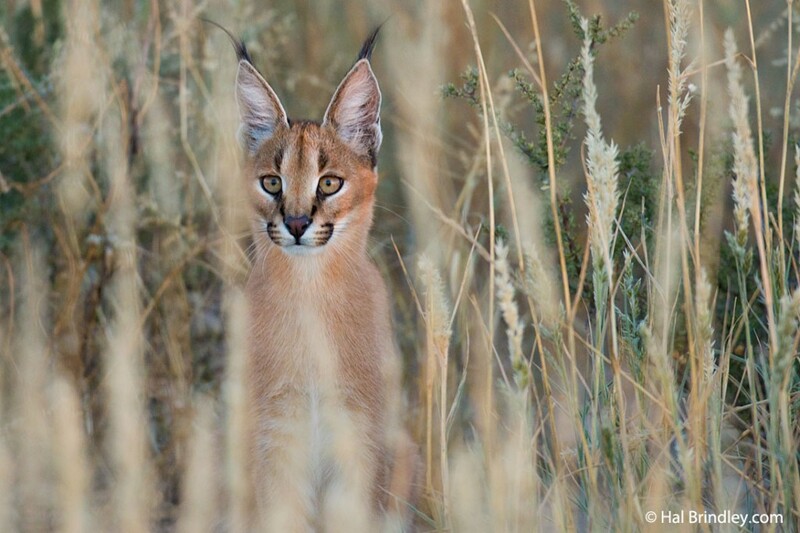 Even though they are everywhere, this elusive cat is not easy to see. The best way to find a leopard is to look up. They are normally found resting on high branches during the day. 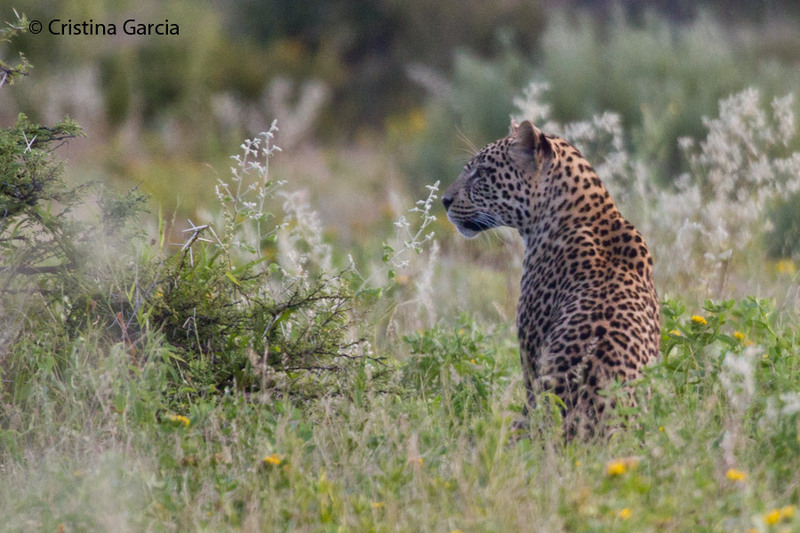 To see a leopard in South Africa, your best bets are Kruger and the Kgalagadi TP or at a private game reserve where the leopards have been well habituated such as Londolozi or Sabie Sands. The African Penguin used to be known as the “jackass penguin” because of the donkey-like braying sound they make at breeding colonies. 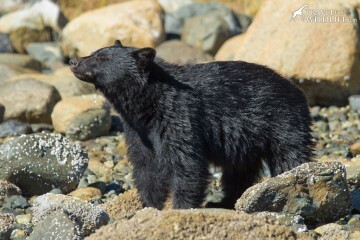 They forage for small fish and squid close to shore and nest in burrows where they lay one or two eggs. The easiest colony to visit is in Simon’s Town, about 50 minutes south of Cape Town. Boardwalks take you through the nesting areas where you may see chicks and to the shore where penguins sunbathe on the rocks and set off to feed. 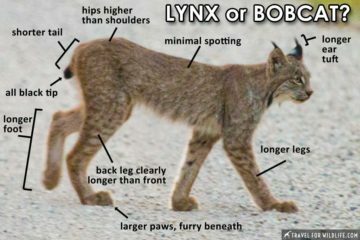 Big predators are high on everybody’s list but don’t forget South Africa’s amazing collection of small predators.African Wild Cat, Caracal,Cape Fox and Bat-Eared Fox are highly entertaining to watch. The problem is that they are mainly nocturnal and you will need to arrange night drives from the park or lodge where you are staying. The best place to see them (and you can see them all on one night) is at the Kgalagadi Transfontier Park where the abundance of prey makes it a great hunting ground for the smaller cats. Another great show is given by vultures. 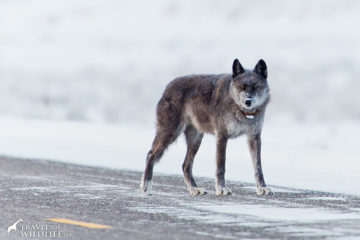 Their interactions with other species, especially jackals, are great to watch. Kruger is a great place to see vultures in action. Head out to the Drakensberg if you want to see Bearded Vultures (Lammergeiers).